Fits Old Mac's Sizes 0 through 4, Old Mac's G2's Sizes 0 through 6, and EasySoaker Sizes Sm though Large. 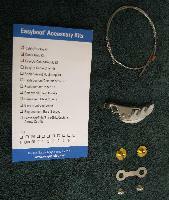 Replacement cable and Buckle for Easyboots/Easyboot Epics. The Easyboot Epic horse riding boot is ideal for the barefoot horse, aggressive conditions or for a horse who is difficult to keep booted. For 2005 and newer Easyboot, Epic, Bare, Grip, and Custom. 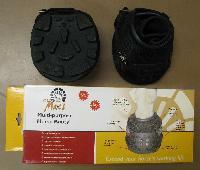 Intended for soaking or medications these boots are not recommended for riding or turnout. 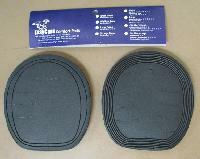 Sold by the pair and made by easy care the makers of the original easy boots. Every Old Mac?s horse boot has a unique hi-tech performance outsole, incorporating the unique Hoof Suspension? System.